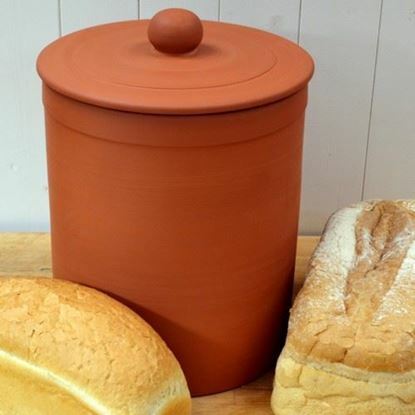 Our Terracotta Bread Crocks & Bread Bins are the natural choice for storing bread the traditional way. 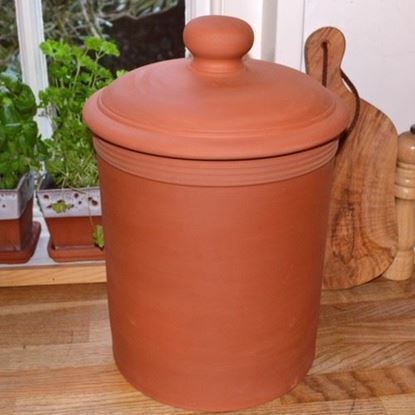 A Terracotta Bread Bin is considered to be among the very best containers for storing bread, offering natural benefits to keep bread fresher for longer. This unglazed terracotta bread bin will provide good bread storing conditions keeping the bread cool, dark & reducing moisture. Made & completely finished by hand in the UK from beautiful English terracotta.